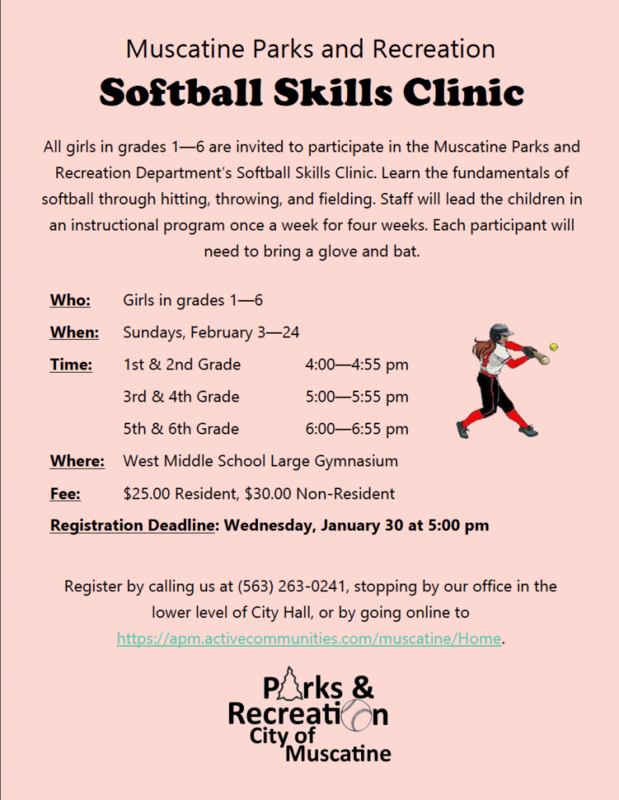 All girls in grades 1-6 are invited to participate in the Muscatine Parks and Recreation Department’s Softball Skills Clinic. Learn the fundamentals of softball through hitting, throwing, and fielding. Trained staff will lead participants in fun drills and games to improve their skills.